These standard size, round-pin, thermocouple plugs and sockets have moulded-in ferrite cores for suppression of EMI/RFI. They are moulded from a high temperature liquid crystal polymer that will withstand 260°C. 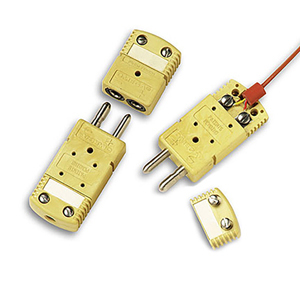 Noter: Type U (uncompensated) connectors are used with type B thermocouples (Pt/6%Rh-Pt/30%Rh).